Supported by NATIONALE PERFORMANCE NETZ (NPN) Koproduktionsförderung Tanz aus Mitteln des Beauftragten der Bundesregierung für Kultur und Medien aufgrund eines Beschlusses des Deutschen Bundestags. Isabelle Schad is supported by Basisförderung 2013/14 of the Berlin Senat. Thanx to : Wiesen55 e.V., Uferstudios Berlin. 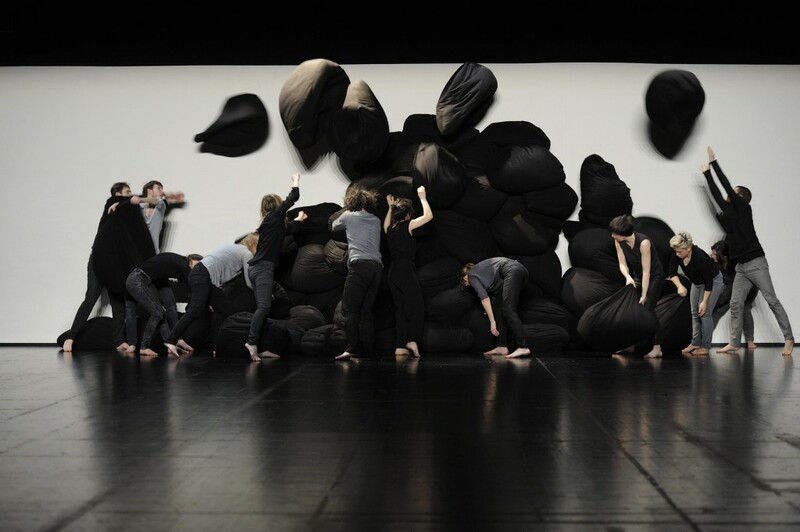 In 2012 Berlin Choreographer Isabelle Schad and French artist Laurent Goldring created their currently touring piece Der Bau (invited a.o. to this year’s German Dance Platform), for which Kafka’s unfinished novella of the same title has been serving as an inspiration source. 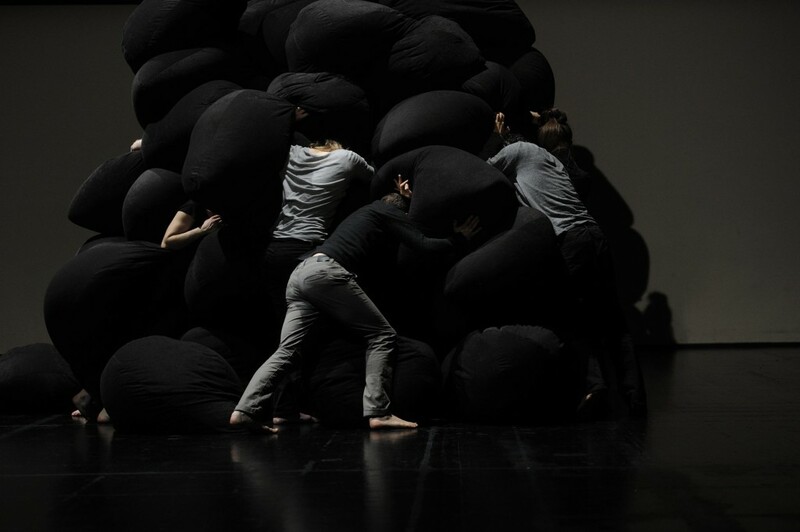 Starting from the description of an animal’s burrow as a metaphor for the body, with its organs and secretions, they have been investigating the space of the stage as an organ. 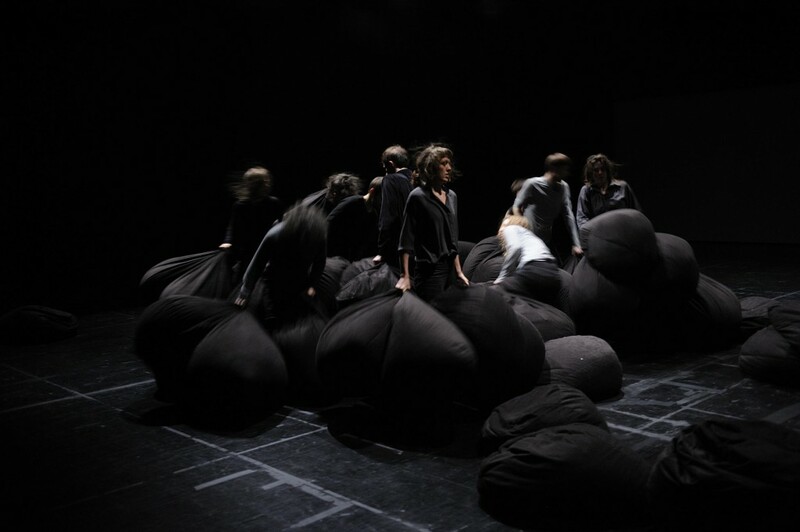 The labyrinth described by Kafka as a space deriving from the body itself, yet still belonging to it becomes the basis for their explorations of conceiving this new relationship between body and space that they have started with their series of pieces Unturtled in 2008. 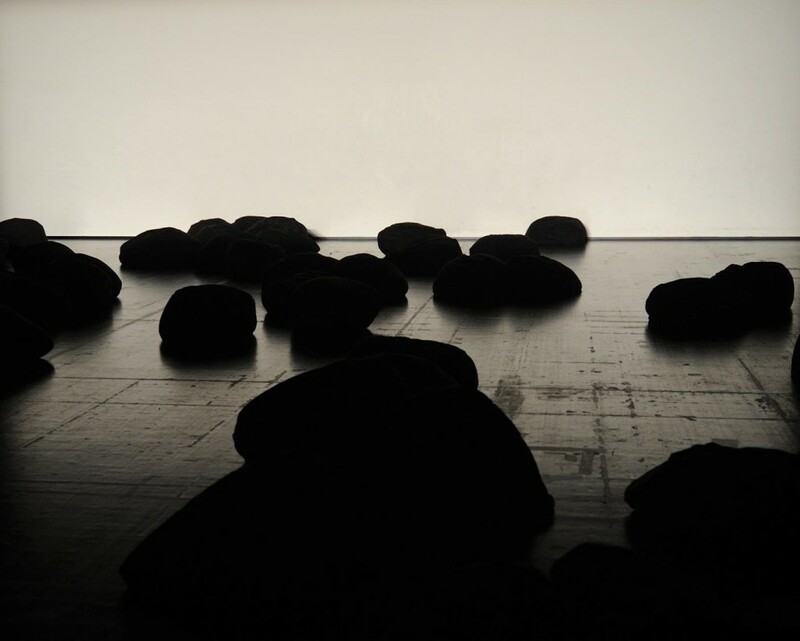 Form and Mass, a solo Isabelle Schad created in 2013 for and with Sonja Pregrad, examines the relation between energy and matter, between material and movement, and the subsequent emergence of form. 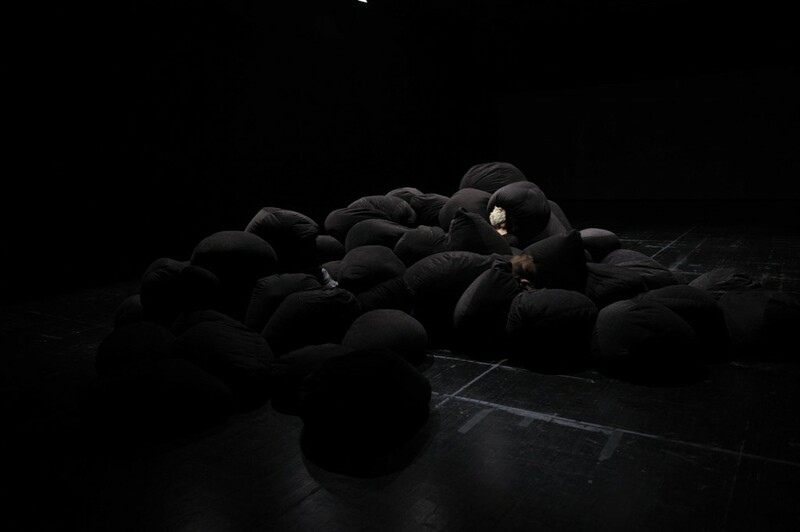 The material – black bags filled with polystyrene beads – serves as an amplifier towards visibility : it elongates the body into its surrounding space.